The competitive capital ship title finally exits closed beta. YAGER’s Dreadnought has made an important step forward today – it’s now in open beta and free to play for all interested. You can download the open beta by heading here. The open beta introduces a new map in the form of Ixion. Situated above Titan, Saturn’s largest moon, it places emphasis on a huge orbital ring that with narrow openings. Night versions of the maps Rings of Saturn and Red Sands have also been added. 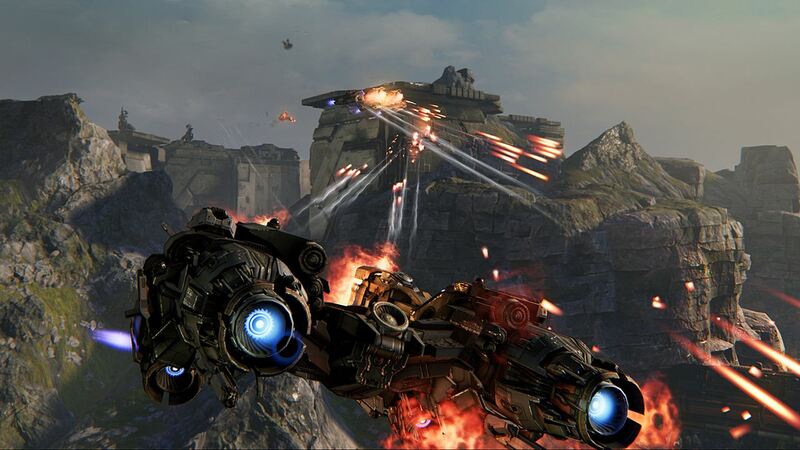 Dreadnought is essentially a competitive multiplayer game where teams battle in capital space ships for supremacy. There are 50 ships to choose from divided into five classes and each ship has its own variety of weapons and abilities. It should be noted that even though Dreadnought is free to play, it still possesses micro-transactions to purchase cosmetics, EXP boosters and Hero Ships. What are your thoughts on Dreadnought going into the open beta stage after years of closed beta status? Let us know in the comments below.